Being in the construction industry, our tools and equipment are the livelihood of our business. Being relied on day in, day out so that we can get the jobs get done means that they are constantly being subjected to dirt, grime, and harsh elements and in turn suffer a lot of wear and tear. 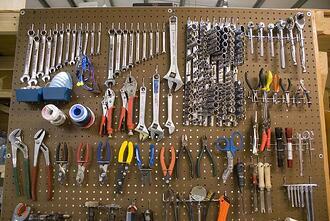 Good tools are an expensive investment, which means that it is important to maintain them regularly. A well cared for tool can reward you with many years of service. Regular maintenance will increase the service life and performance of your equipment. Take good care of your tools and they will last a lifetime! Store them well, keep them clean and well-maintained, and you won't regret it. After a long day's work, cleaning might be the last thing on your mind but remember, your tools have been hard at work and will be covered with dirt and grime. Take a few seconds before packing up to give them a quick wipe down. Whilst toolboxes don't need to be cleaned on a daily basis, make sure you clean them out every once in awhile. 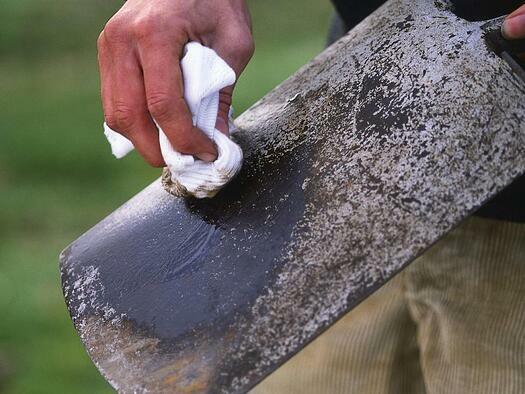 Set aside some time once a month, empty out our tools and wipe them out. Electrical cords are often in the way of construction vehicles and foot traffic and placed where machine like forklifts could accidentally cut through them. To avoid your wires from getting damaged, protect them by covering the cords with a casing on purpose-built ramps. Lubricating tools helps them to perform better and reduces wear and tear of its components. This is even more important when it comes to gas and pressurised air tools which need to be lubricated on a daily basis before use. By coating the internal components with a special oil, you can prevent corrosion which happens when moisture or condensation gets into the tools. 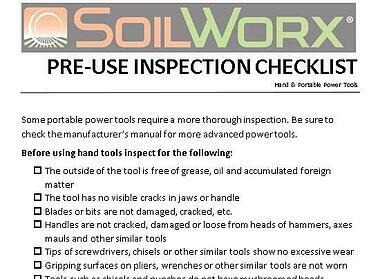 As part of your OHS procedure, tool inspections should be done at the end of each job for any sign of damage and function faults. Attending to repairs in a timely manner will ensure that you not only avoid any last minute hassles and onsite delays but also ensure your safety whilst using them. When your tools are not in use, how you store them is just as important as the work you put into keeping them in good condition. Keep your tools covered up to keep them away from dirt and rain and remember to inspect tools that haven't been used in awhile to check for any signs of damage or corrosion. Tool maintenance requires quite a commitment on your part but being proactive in the maintenance of your assets will reduce unnecessary expenses relating to repairs and replacement of faulty equipment in the future. Do your tools need replacing?